The Sachin Tendulkar Adidas cricket bat is one of the finest pieces of willow ever crafted. Made to the exact specifications as the bat used by Sachin himself. Well as you can see it is an awesome piece of willow. 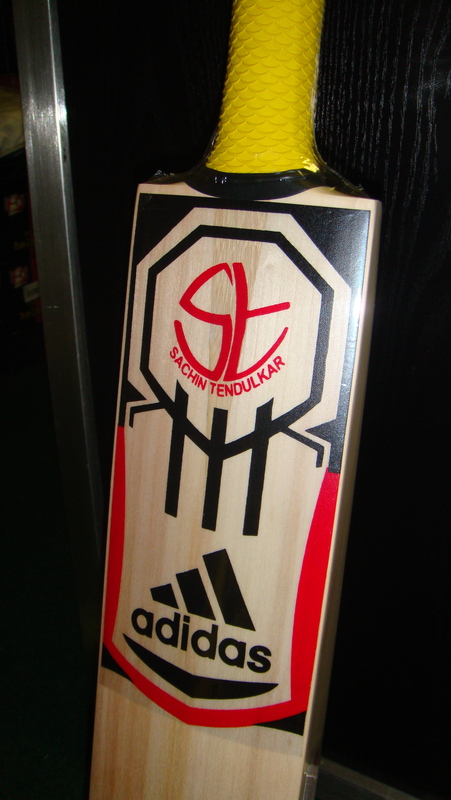 The Adidas Sachin Tendulkar Cricket Bat is a must for any serious cricketer. Dont miss this opportunity to get the best bat youve ever owned. I would certainly recommend it to anyone. The bat is now on sale at my cricket store, www.cricketstoreonline.com for $400 but for this week you can use the coupon code ( may24 ) and get yourself a 10% discount. My video reviews are also available on youtube and head over to Facebook and check out my fan page, just search for cricket store online. I am available all day on 1.888.470.4746 in the USA and 0.800.014.8141 in the UK.